My passion is to develop training manuals for the Certifications I teach. Thus far, I have developed and evaluated ICDL manuals and have written my own Microsoft Office Specialist Manuals for Word 2010, Excel 2010, Outlook 2010, PowerPoint 2010 and Access 2010 as well as the full ICDL Syllabus 5 courseware. At present, I deliver these in electronic format either separately or as a complete courseware option with exercises etc. on CD. Please contact me on foulkesatwork@gmail.com should you wish to obtain any info on same. 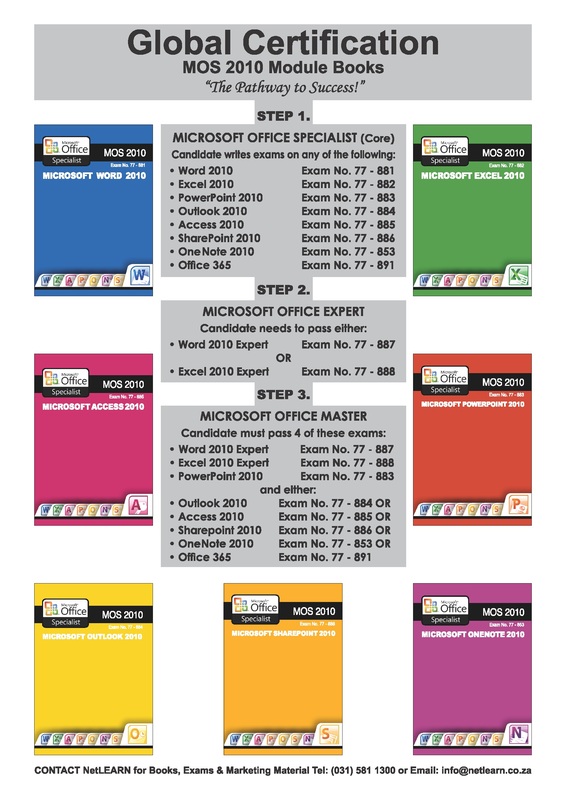 The Microsoft Office Expert manuals for Word 2010 and Excel 2010 are busy being developed and I will have these available as well.